The Mackenzies gather for a clan Christmas and Hogmanay in Scotland. In the chaos of preparations for the celebration - the first of Hart and Eleanor's married life - one of Ian's Ming bowls gets broken, and the family scrambles to save the day. Daniel busily runs a betting ring for everything from the hour Eleanor's baby will arrive, to whether Mac's former-pugilist valet can win a boxing match, to who will be the first of the many guests to be caught under the mistletoe. 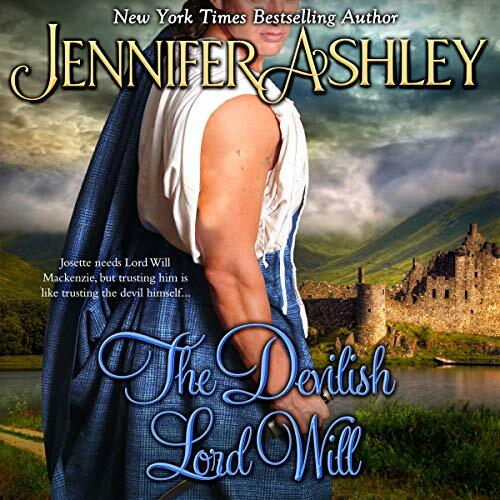 USA Today best-selling author and RITA Award winner Jennifer Ashley pens heart-pounding tales that keep listeners spellbound with torrid romance and finely crafted intrigue. Juliana St. John faces the ultimate mortification when she's stood up on her wedding day. But then fate places her face-to-face with her first love, Elliot McBride, and she finds herself falling for her half-mad former paramour. To redeem her family's disgraced name, Lady Louisa Scranton has decided to acquire a proper husband. He needs to be a man of fortune and highly respectable in order to restore both her family's lost wealth and reputation. She enters the Marriage Mart with all flags flying, determined to find the right bachelor. But Louisa's hopes are dashed when the Bishop of Hargate drops dead at her feet - and she is shockingly accused of murder! Daniel Mackenzie lives up to the reputation of the scandalous Mackenzie family - he has wealth, looks, and talent, and women love him. When he meets Violet Bastien - one of the most famous spiritual mediums in England - he immediately knows two things: that Miss Bastien is a fraud, and that he’s wildly attracted to her. Scandal follows Rose Barclay, young widow of the Duke of Southdown, wherever she goes. It's never her fault, but newspapers love to write about the simple girl from Scotland and the much older duke who died suddenly on their honeymoon. And now there is even more talk as the legitimacy of the marriage is being contested by the duke's son and heir. Scotland, 1745: The youngest son of the scandalous Mackenzie family, Malcolm is considered too wild to tame...until he meets a woman who is too unattainable to resist. Lady Mary Lennox is English, her father highly loyal to the king, and promised to another Englishman. But despite it being forbidden to speak to Malcolm, Lady Mary is fascinated by the Scotsman, and stolen moments together lead to a passion greater than she'd ever dreamed of finding.